Nothing tells your opponent that you have crashed through his defenses with your Panzers better than a good spread of Iron Crosses on the game table. And the enemy will certainly lose hope in Stalingrad when the Hammer and Sickle tell them the tale! These Custom crafted COMBAT DICE were made with one purpose.. to show all contenders that you dictate the course of history! 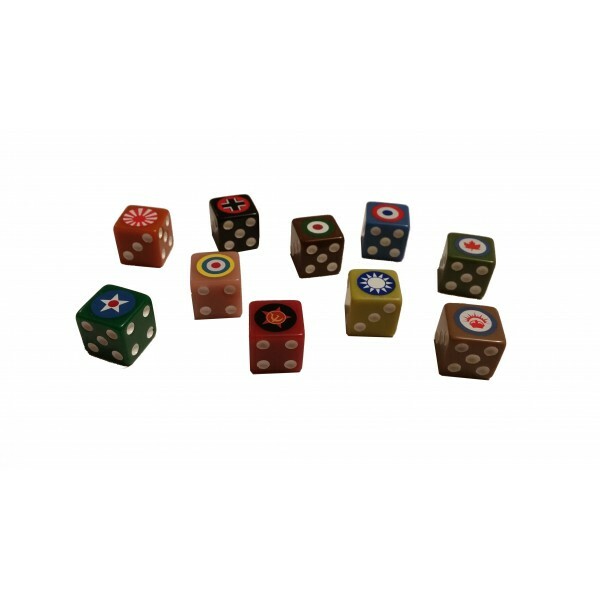 A great addition to any Second World War combat game that uses a D6 combat system, these dice are custom made with the national emblems of the US, China, Great Britain, ANZAC, France, Japan, Italy, Germany and the Soviet Union. Each die is cast in the oft used colour to match the playing pieces of that nation. The world is full of Armchair Generals. 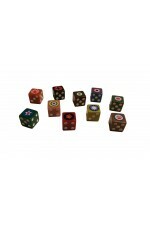 Show your opponent your military and tactical prowess with Field Marshal Games Combat Dice.